Early this morning, I finished reading Laura Bush’s new book, Spoken from the Heart. In this autobiography, Laura mainly discusses her experiences while growing up in Midland, Texas and her time spent in the White House. However, in a small portion of the text, she describes her thoughts on fashion. Mrs. Bush states that it was hard for her to be in the eye of the fashion critics, because she never kept up with the trends. She did not wish to be seen as on the cutting edge of fashion, but rather, Laura wanted others to view her style as elegant. She also said that it was the Bush family’s budget, not the government’s expenses that had to purchase all of her dresses which she wore to the many events she and her husband, former President George W. Bush, attended. The media always expected her to wear a designer brand, so she tried to recycle her wardrobe as much as possible. Laura even recollects on a time when the recycling of her wardrobe went too far. She once showed up to FOX to be interviewed by Chris Wallace, when she saw a photograph of herself on the wall of the news station in the exact same outfit at her previous interview with Wallace. She describes how she tried to cover this accident by exchanging shirts with her press secretary. I am glad that Laura Bush is honest in her biography and doesn’t try to cover up mistakes that she has made in her past, like so many political leaders seem to do in their books. She is not afraid to speak her mind, as well as have a laugh at herself every now and again. As I previously stated, Laura said she wanted her style to come across as elegant, and I must say that if this was her main goal in her fashion choices, mission accomplished. 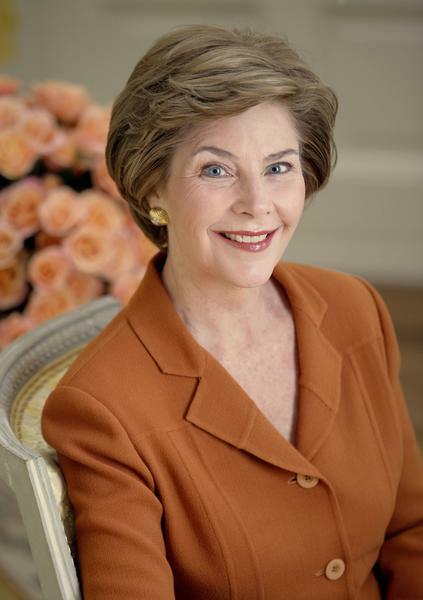 What do you think about Laura Bush’s fashion sense? 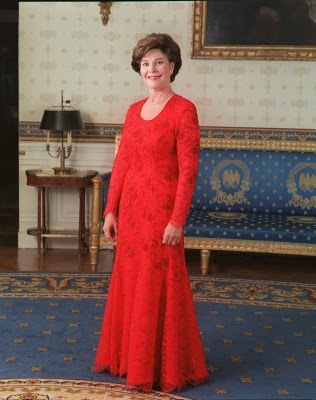 This entry was posted in Former First Ladies, Laura Bush. Bookmark the permalink.